The Lutheran Church, like many others, is one of tradition. If you doubt this, ask a member of any congregation why it is they do something in a particular way. You will likely be met with the response, “This is how we have always done it.” Suggest making subtle changes such as lighting candles in a different order and you will hear the familiar refrain, “We have never done it that way.” The traditions within our congregations are endearing, comfortable, and seem unchanging. However, as beloved as they may be, they serve no purpose towards salvation. From the beginning, the rituals of the temple were such that everything was done in strict order. 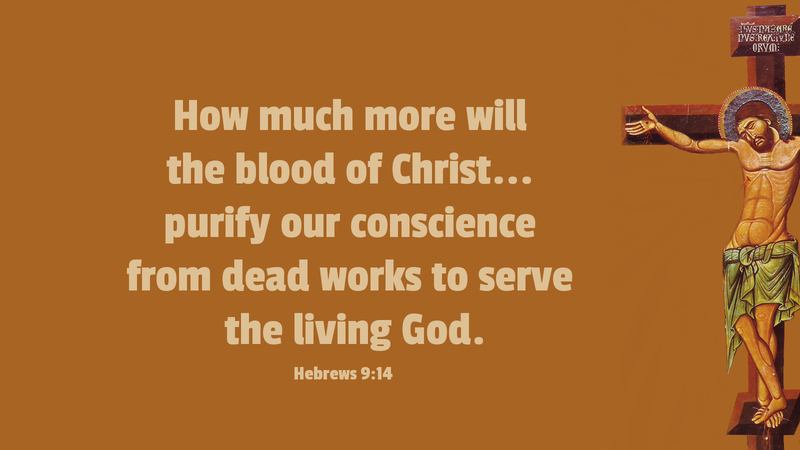 The author of Hebrews reminds the Church that before the death and resurrection of Christ, worship was done in a particular way, yet even these rituals did not bring about salvation. Ever since Adam and Eve took a bite from the forbidden fruit, God’s plan for rescuing his people from sin, death, and the power of the grave has always been through the sacrifice of his only Son Jesus Christ. Our worship is made in thankful response to all that God accomplishes through Christ, our great High Priest. Prayer: We worship you, Lord Jesus, for you have saved your people and opened the gates of heaven for all who believe in you. Amen.